WHG321 | Hypernet Solutions, Inc. The 4ipnet WHG321 WLAN Controller is an ideal and secure solution for small-scale WLAN deployments, including branch networks and smaller offices. The 4ipnet WHG321 is an enterprise-grade wireless LAN controller that provides establishments such as small hotels, schools, or municipal organizations with a comprehensive set of managed Wi-Fi features at a competitive license-free price point. With AP management, user authentication, policy assignment, traffic shaping, firewall features, and much more all packaged into a single box, the WHG321 provides network administrators with a reliable, easy-to-use, and centralized management console for an entire organization’s wireless network infrastructure. The WHG321 is capable of managing up to 40 EAP/OWL-series Wireless Access Points and can be directly integrated with 4ipnet’s SW-series Unified Access Switches, all of which can be deployed and configured easily by anyone, including non-wireless savvy users. For example, automated AP discovery prevents network administrators from having to go through the hassle of individually adding and configuring each access point. Access points as well as connected Wi-Fi devices can then be monitored and managed from a centralized point, with extensive logging & reporting features to assist in troubleshooting and maintenance. As Wi-Fi enabled handheld devices such as smartphones and tablets become ever so prevalent in our daily lives, businesses and network operators alike are faced with a mind-boggling dilemma – how to simultaneously address the needs of BYOD (Bring Your Own Device), manage Wi-Fi users, and maintain network service quality for mission critical applications. 4ipnet’s WHG321 is designed exactly with these requirements in mind, and with a total cost of ownership that satisfies even the most price conscious, organizations are guaranteed to receive an unmatched ROI on their wireless LAN infrastructure. Security is often one of the most important concerns when it comes to enterprise wireless networks. 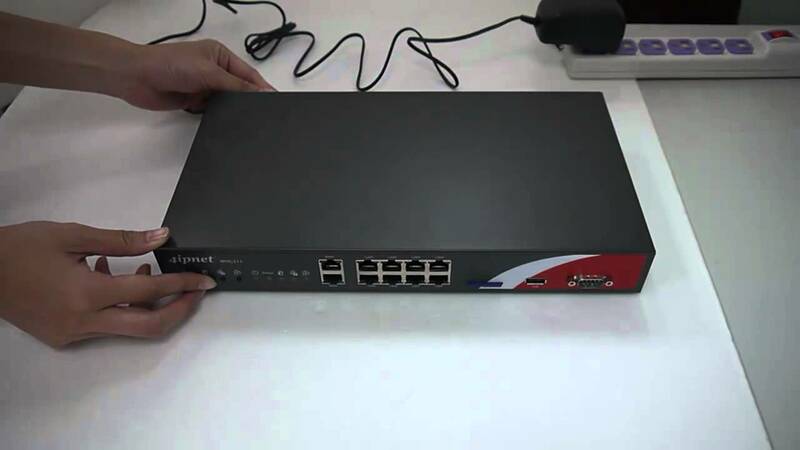 From the most basic need of preventing network access by unauthorized users to performing rogue AP detection and enforcing network isolation, 4ipnet WHG controllers provide a complex set of features that prevent malicious activities in an organization's network. For deployment flexibility, the WHG controllers support user authentication via both the industry standard 802.1X as well as web-based captive portals. The highly customizable captive portals with integrated walled garden capability can be adapted to suit the needs of hotels, schools, and other public venues. For unregistered users without an account, guest access can be provided by simply entering an e-mail address. The WHG controllers also support remote access via VPN, which is crucial for travelling businessmen. At the same time, site-to-site VPN establishes secure connections between corporate headquarters and branch offices. The advent of the era of smartphones and tablets has opened a chasm between how the Internet is used and how organizations provide Internet connectivity. Wireless networks have transformed from a luxury to a necessity, in order to support devices that don't have legacy wired capability. Furthermore, additional features need to be provided in order to address the rapidly changing usage behavior. 4ipnet's WHG controllers support a variety of mobility features that aim to make enterprise Wi-Fi both easier to use and simpler to manage. For example, by supporting fast roaming, users on mobile devices can be on-the-go without worrying about interrupted connections. It is also not uncommon to see a single user with multiple handheld devices - with the WHG all of the devices can login to Wi-Fi using the same username and password. Finally, mobile-optimized captive portals and ticket-printed QR code automatic login are both easy methods for a user to get online from their mobile device. In a wireless LAN, the WHG controller is the central point of management for network administrators, whether it is monitoring current online users or troubleshooting network connectivity issues. The management console of the WHG controller is a browser-based GUI that is simple and intuitive to operate. From this interface, network administrators can configure traffic shaping profiles, track previous network usage, perform system backup and restore, and much more. From the user management perspective, one of the core benefits of the WHG controller is its ability to enforce different traffic profiles based on both the location (Service Zone) of the user and the time of access. For example, the profiles applied during work hours can be different from that of during after-work hours. From bandwidth limitations to specific routing rules, network administrators gain fine-grained control over Wi-Fi users. For access points, WHG controllers support automatic discovery and provisioning, eliminating many repetitive and cumbersome tasks often faced during initial network deployment. Centralized AP configuration and monitoring also greatly reduces maintenance overhead for IT staff. As wireless networks increasingly become the primary network used by organizations, it is crucial to take into consideration fundamental network services, such as DHCP, NAT, and routing. In addition to providing these functions, the WHG controller also implements the concept of a "Service Zone", which essentially segments the controller into multiple virtual controllers, each with its own associated network services, user policies, authentication settings, etc. On the reliability end, the WHG controller supports WAN port failover, which helps businesses reduce the chance of network downtime and prevents lost productivity and revenue. Furthermore, load balancing between the WAN ports increases overall performance by alleviating congestion and distributing traffic between the two outgoing links. Finally, the WHG provides unique value-added capabilities, such as a direct integration with Micros Opera PMS that greatly simplifies the overhead of providing managed Wi-Fi in hotels. Whether it is real-time monitoring of network activity or tracking the usage of previous Wi-Fi users, network administrators need the appropriate tools at their disposal to increase efficiency and reduce workload. The 4ipnet WHG controllers have an extensive set of logging and reporting features that allow network administrators to easily find any information related to the wireless network. The built-in system dashboard provides a quick overview of the current system status, along with graphical reports of network traffic and system performance. In addition, there is a simple interface for viewing online devices and their associated detailed statistics, including but not limited to the roles they belong to, enforced network policies, and packets transferred. Alongside network monitoring, the WHG controller also performs detailed logging of all network activity. For example, the User HTTP Web Log allows network administrators to track users who visited malicious websites, while the DHCP Lease Log can assist in troubleshooting clients who cannot receive an IP address. Lastly, the Configuration Change Log shows administrators which settings have been modified in the past, in case there are configuration errors that need to be reverted.